« Hot Lunch Moms, more than hot lunch! The term inclusion to me is tainted. It comes with so much confusion, and anxiety, when really it is SO SIMPLE! My definition of inclusion is this : treat everyone as though they have something to contribute to your life and society around you. 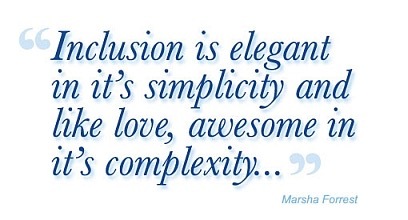 Inclusion doesn’t need to be muddled with policy and paperwork and all of that jazz! 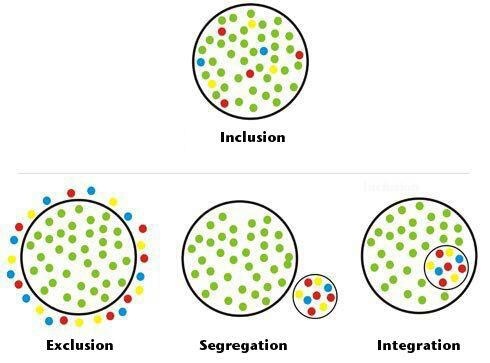 Inclusion is understanding that not everyone will be a rocket scientist, a star athlete, an ‘A’ student, a public speaker, a janitor, a McDonalds burger maker! We all have our place in society, we are all different, we are all raised differently, we all have something to contribute! I support “inclusive education” for my boys because, although they don’t follow typical curriculum, and can’t skate with the class, and can’t tell anyone what their favourite toy means to them, they are providing everyone around them a sense of life without a voice and limited motor abilities. They are living life with COMPLETE joy. They demonstrate LOVE for EVERY. SINGLE. HUMAN. BEING! This generation which we are raising will be the MOST tolerant yet!! They will understand and whole heartedly accept that WE ARE ALL SPECIAL! I am so grateful for my family every single day. Even though there are great challenges, I know that I am surrounded by something special. I know it is difficult to change the misconceptions and attitudes we have been raised with, but understand how simple the term is. Please, I ask, ponder it for just a moment and share the word.